Mascara from Helena Rubinstein, Lash Queen Feline Extravaganza. Extravagant and pitch black. Which of women would not like to have such eyelashes? Luckily, Helena Rubinstein has found a magic trick that provides all women with such a look. How is it possible? Cover your eyelashes with Lash Queen Feline Extravaganza mascara and you will see for yourself! Mascara Helena Rubinstein, Lash Queen Feline Extravaganza. Mascara Lash Queen Feline Extravaganza from Helena Rubinstein is closed in a black tube decorated with golden, cheetah-like pattern. The capacity of the mascara contains 7 ml of the product. Moreover, the cosmetic is available only in one shadow – black. 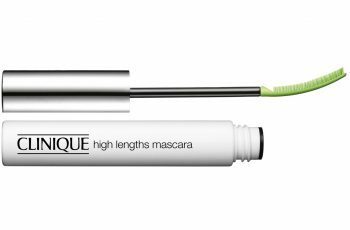 The mascara is here to thicken, lengthen and make the eyelashes a little bit curved. Furthermore, eyelashes covered with Lash Queen Feline Extravaganza gain extremely intensive black colour. When it comes to the applicator of Helena Rubinstein mascara, the brush is quite big and its bristle is long and densely placed. The producer claims that the brush is patented and extremely over-sized. Such a design is believed to ease cosmetic application and, at the same time, turn eyelashes into being extremely volumed. Application of Lash Queen Feline Extravaganza. What is the manner of Helena Rubinstein mascara application? In order to make the cosmetic hold for longer, apply a transparent primer first. 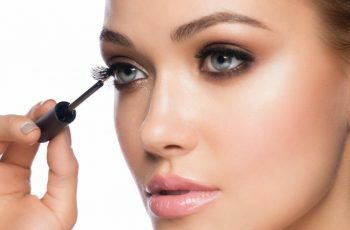 Next, while holding the brush horizontally, mascara the eyelashes with, so called, zigzag movement starting from the roots of your eyelashes and gliding the applicator to the very tip of these. Using the end of the brush, cover the tips of eyelashes one more time. Do not forget to cover also the tiniest eyelashes located in the inner and outer corners of the eyes. Mark the lower eyelashes likewise. Lash Queen Collection from Helena Rubinstein. Helena Rubinstein, Lash Queen Collection comprises not only of the above-mentioned mascara. Despite Lash Queen Feline Extravaganza, Lash Queen Collection includes Lash Queen Mystic Blacks Mascara, Lash Queen Mascara, Lash Queen Feline Blacks Mascara, Lash Queen Feline Blacks Waterproof, Lash Queen Fatal Blacks Mascara. All the products are packed in black and gold elegant tubes which definitely stand out on the druggist’s shelves.